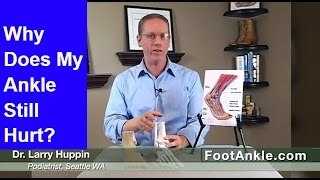 If you suffer an injury to one of your feet or an ankle, how can you know if it is serious? 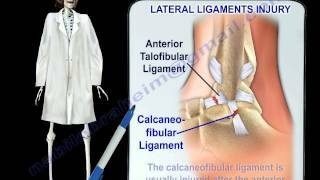 How can you tell if it’s worth seeing your doctor or an orthopaedic surgeon? Click the link above for more information about serious foot and ankle injuries and other resources for your sports or exercise injury. Get The Serious Injury Checklist FREE! The content of this YouTube Channel, https://www.youtube.com/user/drdavidgeier (“Channel”) is for INFORMATIONAL PURPOSES ONLY. The Channel may offer health, fitness, nutritional and other such information, but such information is intended for educational and informational purposes only. This content should not be used to self-diagnose or self-treat any health, medical, or physical condition. The content does not and is not intended to convey medical advice and does not constitute the practice of medicine. YOU SHOULD NOT RELY ON THIS INFORMATION AS A SUBSTITUTE FOR, NOR DOES IT REPLACE, PROFESSIONAL MEDICAL ADVICE, DIAGNOSIS, OR TREATMENT. You should consult with your healthcare professional before doing anything contained on this Channel. You agree that Dr. Geier is not responsible for any actions or inaction on your part based on the information that is presented on the Channel. Dr. David Geier Enterprises, LLC makes no representations about the accuracy or suitability of the content. USE OF THE CONTENT IS AT YOUR OWN RISK. 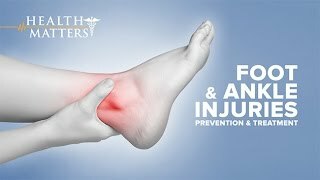 Foot and ankle injuries are among the most common injuries active people suffer playing sports and exercising regularly. Fortunately, most of these injuries don’t require surgery. This list is far from comprehensive, but here are three signs you have a foot or ankle injury that might require surgery or an extended absence from physical activity. Your pain is getting worse as you proceed through the workout. It might not be a big problem if you have soreness in your foot, or maybe your ankle, that stays at the same intensity through your exercise. If your pain keeps getting worse and worse as you keep going, it could be a sign that you have a more serious problem. You can’t walk without limping. Whether you suffer a traumatic event that started your foot or ankle pain, or if it developed over time with no specific injury, limping can be a bad sign. If you cannot walk with a normal gait and have to limp, it could be a sign that you should get it checked out. You really hurt the next day. If you exercise or play sports one day and find yourself to be miserable the next day, you might have a serious ankle or foot injury. It could just be pain, or you might have difficulty standing or putting weight on your foot. If you are that uncomfortable, you might consider seeing your doctor or an orthopaedic surgeon. Again, this list is not comprehensive, so it should not replace the advice of your doctor. If anything, I hope you would consider seeing your doctor or an orthopaedic surgeon soon after an injury if you have any of these complaints. Please remember, while I appreciate your questions, I cannot and will not offer specific medical advice by email, online, on my show, or in the comments at the end of these posts. My responses are meant to provide general medical information and education. Please consult your physician or health care provider for your specific medical concerns. Ankle Sprain? Is it BROKE? How to Tell & What to Do. How to Wrap. 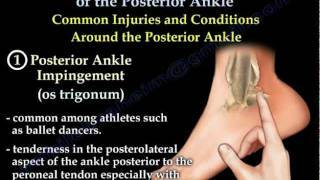 5 Things They Don't Tell You About Ankle Sprains-Don't Delay Healing. 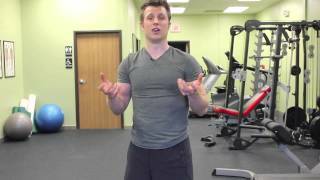 Why Does My Ankle Still Hurt Months After I Sprained It?